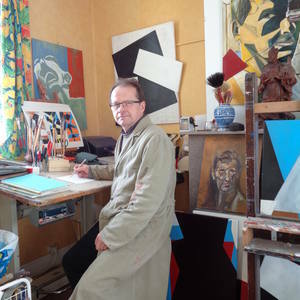 Diederik has a particular style that is influenced by minimalistic art and works from the first decades of the 20th century. This can be seen in his early works that put the emphasis on emotional figurative subjects. Throughout the years the focus changed to more modernistic and abstract art. For not losing himself in one discipline he is combining and using different techniques and materials in his works.